The conservative Partido Popular (PP) government of Prime Minister Mariano Rajoy has suffered its first parliamentary reverse since 2011, with opposition parties banding together in a vote of 208-133 to begin the process of overturning the Rajoy government’s controversial education law (Ley Orgánica para la Mejora de la Calidad Educativa, or LOMCE), unilaterally passed in 2013 by a PP majority during the last session of Congress. The vote on Tuesday enables a full Congressional debate on a proposal from the Socialist party (PSOE) to halt enactment of controversial measures contained in the LOMCE, including unpopular re-validation testing (known as reválidas) of students by third-party testing agencies, as well as the possibility of complete replacement of the PP-approved legislation by another law altogether. Most observers see complete or partial overturning of most unpopular measures contained in the LOMCE as inevitable. While the process may take months until the LOMCE law is rolled back or overturned in its entirety, Tuesday’s vote marks the first of several votes that the PP is expected to lose on legislation that the conservative party passed unilaterally in the last Congress. 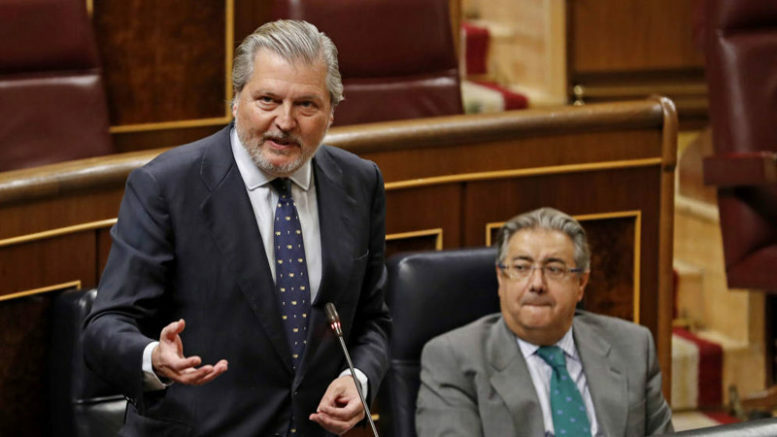 In anticipation of the reversal, Prime Minister Rajoy already announced a temporary suspension of the reválidas until the future of the LOMCE law could be determined.